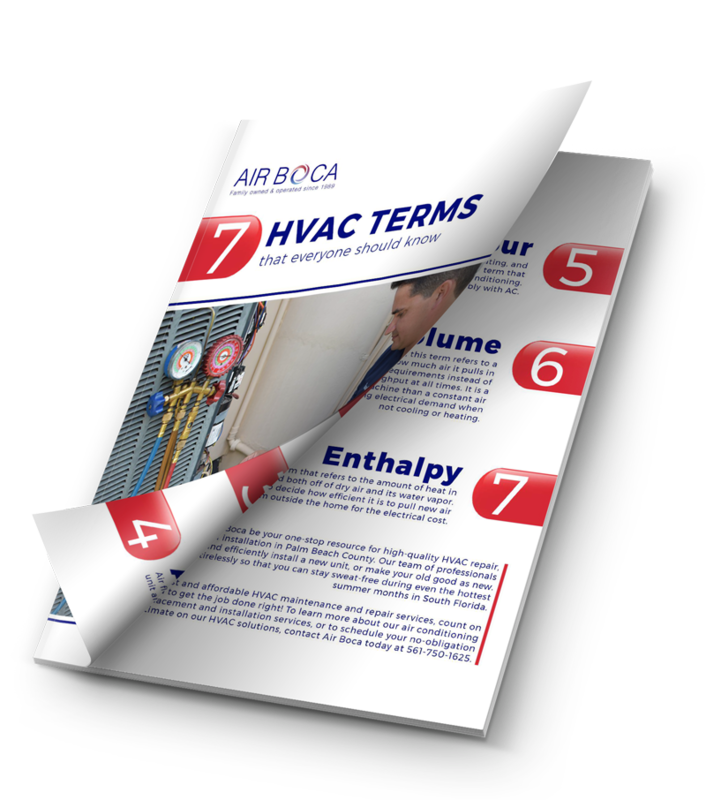 When your air conditioning unit malfunctions, what should you do? It’s okay if you don’t know the answer –– most people don’t know where to turn. But it’s important to call an air conditioning professional as soon as you realize there’s a problem. No matter the time of year, living in a home that doesn’t have a functioning air conditioning unit is uncomfortable, especially in South Florida! If your home is at an extreme temperature and you have babies or older adults at home, you’ll feel even more urgency to get the problem solved. So you know that you need to get your air conditioning system fixed, but what do you do next? It’s hard to know who to call when air conditioning companies are a dime a dozen and you need a fix as soon as possible. Instead of sifting through dozens of reviews, pick a company with decades of experience and a loyal customer base. 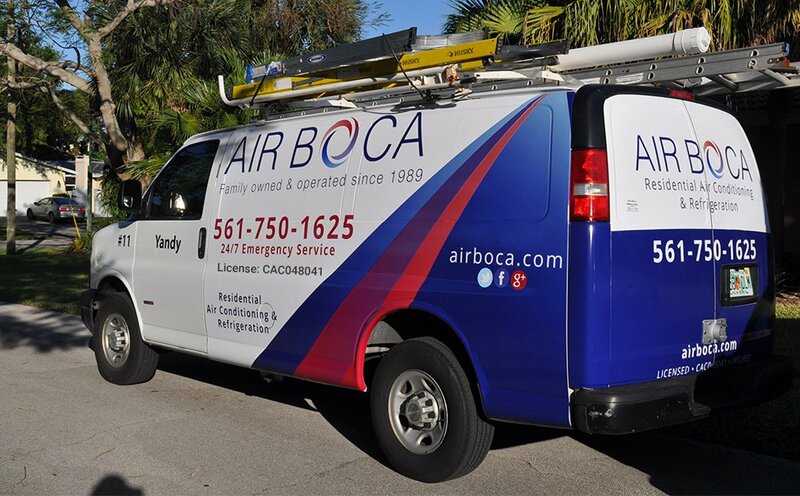 At Air Boca, we offer 24-hour emergency AC repair –– your air conditioning unit doesn’t operate on a 9-to-5 schedule, so we don’t, either. 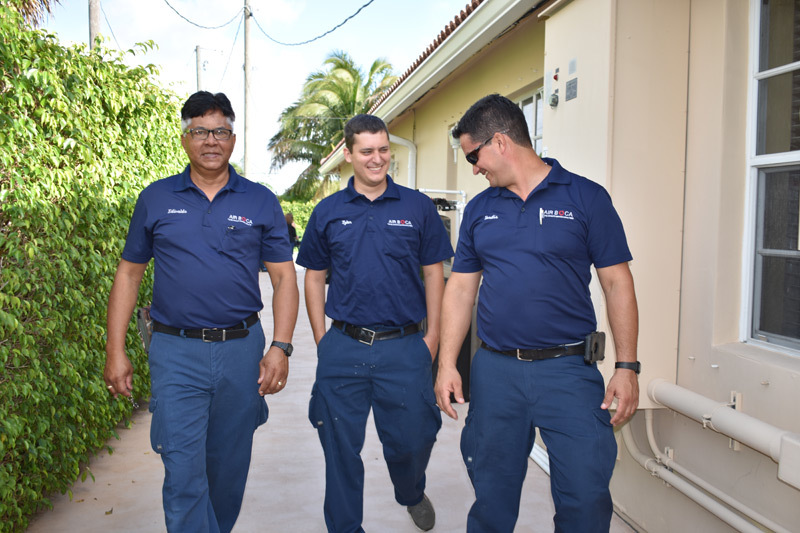 If your air conditioning unit is damaged during a hurricane, natural disaster or lightning strike, Air Boca will dispatch experts to determine the quickest way to repair your system. Our team is bilingual and is fluent in both English and Spanish to help even more people in the Boca Raton area. Once Air Boca arrives at your property, our technician will examine your air conditioning system to diagnose the problem and quickly come up with a solution that will get your unit back in working condition. Whether your system is malfunctioning because of clogged filters, an air handling unit obstruction or something else, we’ll make sure your home is at a comfortable temperature in no time. Air Conditioner Repair Overall rating: 5 out of 5 based on 10 reviews.